The world capital of cocktails, London, will once again be celebrating London Cocktail Week next month. The week will run between October 7 and 16 and is designed to encourage Londoners to try new things, taste different cocktails, visit bars they’ve never heard of and maybe even try their hand at cocktail making too. 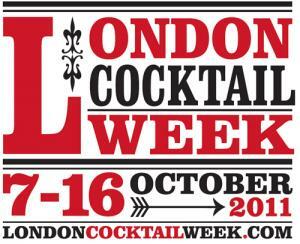 London Cocktail Week is the brainchild of innovative drinks writer and editor of Class Magazine and diffordsguide.com, the cocktail advice website, Simon Difford. Massively oversubscribed last year, its first year, Difford has extended the concept this year, doubling the number places available to cocktail lovers and bars eager to join in the fun. The main event, the Cocktail Tour, incorporates more than 150 bars, up from 50 last year.